Hypertrophy is the increase in size of muscle cells. There are a number of theories as to which form of hypertrophy training is the most effective. Some say that focusing on a rep count is best – usually around 8-12 reps – others say that time under tension (TUT) is what you should be focusing on within each set, while others feel that it’s the total TUT of the workout that’s most important, not just the set. No matter what your theory, you need variation to see consistent gains. The goal of a muscle-building, or even a fat loss with regards to a weight training routine is to break as much muscle down as possible, then repair it through proper recovery. This article let’s you in on some of the secrets I learned that helped me gain 32 pounds of ripped, athletic muscle in 32 weeks. The eccentric phase of any lift is often the most neglected, but also arguably the most important. It’s the down phase in a bench press, or the way down in a chin-up. It’s where the muscle elongates, while a concentric contraction is where the muscle shortens. While I feel you should always be pressing (concentric phase of a bench press) as fast as possible, there needs to be some variance in the eccentric phase. Every now and then you can do an exercise with an ‘all out’ tempo. Also try a 1-3 second count, then a 3-5, then a 4-6 second count for the eccentric phase of the exercise. By neglecting the ‘other half’ of an exercise, we’re basically getting half – or less than half – of the benefits we should be getting. Anyone can see results for a couple of weeks, and if you’re a beginner, that may increase to a couple of months. But at some point we all plateau if we aren’t changing up our methods of training. I change up my rep counts and sets every 3 weeks to maintain consistent muscle growth – and I suggest you do the same. As I said earlier, some feel that ideal hypertrophy exists in a rep range. I have found that it exists in change, time under tension, and the amount of intramuscular tension a muscle is placed under. If you’re going to consistently improve, you’re going to have to consistently keep your body guessing. Our bodies are interesting and wonderful things. They adapt to the changes we place on them. In this sense the weight room imitates life – or life imitates the weight room, depending on how you look at it. Those of us who are constantly placing changes on ourselves, and forcing ourselves to adapt, will do the most growing. In our training it’s much the same. If we’re always doing the same thing, our bodies adapt, and cease to grow. If we place new demands on our bodies, and force our muscle to adapt to new stresses in the form of different sets, rep counts, tempo counts, and weight increases, we’re ensuring that our gains won’t slow down. The more tension you place on your muscles, the more effectively they are going to break down, and the more you can then repair them and help them recover. Muscle growth occurs from muscle damage. If you’re going to break down more muscle, you’re going to have to lift more weight. Adding weight each week – or at least trying to – is a must. 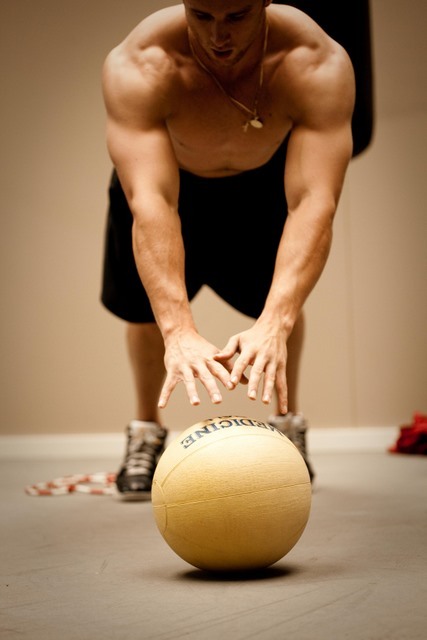 Even if you’re doing challenge workouts, you should be trying to get stronger every time you’re in the gym. This is where keeping track of what you are doing is important. 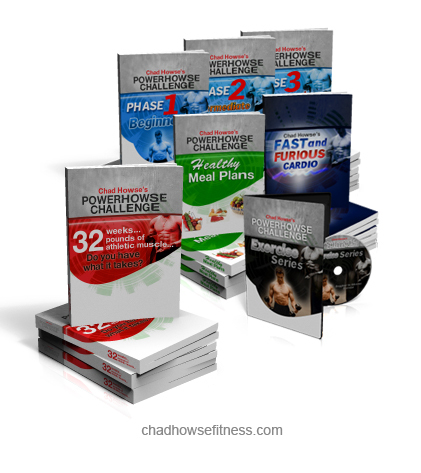 If you’re doing the PowerHowse Challenge – or any other workout for that matter – print out what you’re doing, and write down the weight you have lifted every time you’re in the gym. Next week, when you’re doing the same exercise, try and beat that weight, even if it’s by 5 pounds.